March has really flown on by with Rain and snow this year. It was not all that much of month that signals Spring as Begin. This year Spring came on March 20th. It was still snowing and raining. Mach was a cold one this year. Will we get spring this year? April will tell. We had Good Friday this past Friday in the month. So Easter is Tomorrow. I seem of hit the middle for this month. I have read only a total of 5 books this month. That seems like the middle since it 2 Books down from February. Here the list for this month. So for the month of March, I have read a total of 1,834 Pages. You can see what my total for the month by book below. So Far for the 2018, the Total Pages Read is 4,328 Pages. That is a total of 3 months of this year. Take look at the total per month below. So Far as of 2018 the Total Books Read are 16 Books. What was written and posted in March. Some of the books were read in 2017 and that is way you are see them posted in March of 2018 as for I choose those dates for the tours. You will that I have Reviews that will be posted this year that go to book that were read before 2018. Though I am trying to keep up with current reviews with book read this year there are some from back log. I just did not get to write the review. They will be marked. Would you like to see Images or graphics or is my Wrap up okay the way it is? Description: Lady Evelyn Carlisle has returned home to England, where she is completing her degree at St. Hugh’s, a women’s college in Oxford. Her days are spent poring over ancient texts and rushing to tutorials. All is well until a fateful morning, when her peaceful student life is turned on its head. Stumbling upon the gruesome killing of someone she thought she knew, Evelyn is plunged into a murder investigation once more, much to the chagrin of her friends and family, as well as the intriguing Detective Lucas Stanton. The dreaming spires of Oxford begin to appear decidedly less romantic as she gathers clues, and learns far more than she ever wished to know about the darkness lurking beyond the polished veneer. Can she solve the crime before the killer strikes once more, this time to Evelyn’s own detriment? The Study of Silence is baffles me as to what the true plot is. Though, it is good read. I know there a murder in the book. Why, the person is murdered, you will not by no mean until the end of the book. I know the story is somewhat told in a third person i believe anyway. I was wondering if was more about human nature or if the story was more set to be about Evelyn. Why someone is after her when she not does much to find out. Evelyn seems to get sucked into the murder and danger accidentally. I do enjoy the fact that we learn about women's rights a bit during England era though this book. 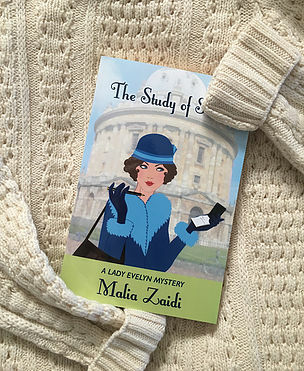 The story is set in the era of 1926 England. We experience or learn about Oxford and that time period and customs. That part of the story give the author a swell of job. She touches a bit of things that might go one during this time that we do not like in our modern day time. The cause of this murder and the unlikely will be surprise of the reason for it. Was the professor living a double life or a secret life. Who is the murderer? To find out you will have to read the book. 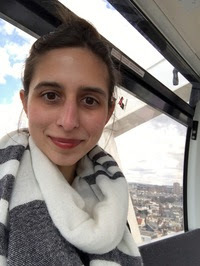 Malia Zaidi is a writer and painter, who grew up in Germany and lives in the US. An avid reader and traveler, she decided to combine these passions, and turn her long-time ambition of writing into a reality. 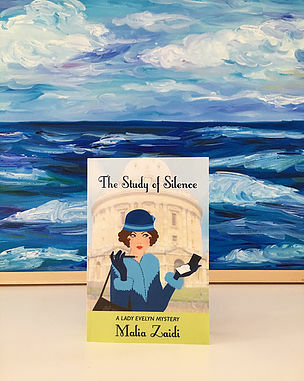 The Study of Silence is the third book of The Lady Evelyn Mysteries. Disclaimer: I received a free copy from +Wanda Clippy Clappy Club for an honsty review and for join their club. Description: Lyle and Heidi Troyer have taken in a brother and sister, who were orphaned when their parents were killed in a car accident. 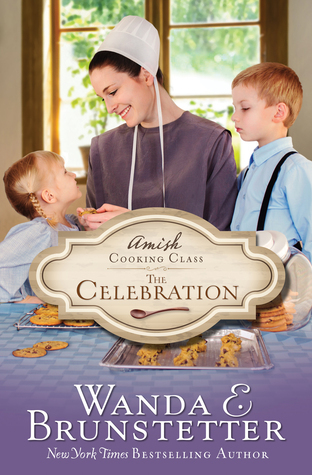 Hoping to help the children adapt and make friends, Heidi decides to hold a series of cooking classes for kids. But kids are always accompanied by an adult—and that is where the trouble arises. The Celebration is enjoyable. 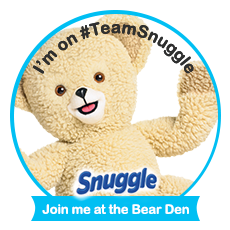 I like that you get to meet all the families and it rotational. It not with only one family and I like that. I like how Wanda does that with this book and series. I like Hedi Toyer and how we see how she has struggled. We alway see how she reaches out to other children and their parents along the way as she is trying to help her foster children adjust and get to know other children. We meet the Velma and her family. We also see the other families and meet them. Will they all heal over this Amish food and cooking class. Then gain they may form friendships they did not know will happen. The one thing I noticed that I wish was different was that it gave us more of the children point of view more. It was a cooking class for children. I was hoping that would let see the children point of view along with the parents point of view. The plot is done well. Wanda Brunstetter as done herself well with this book. I know this is the third book in the series. I want to read the other two hopefully soon. I would recommend any of Wanda’s books to read. This is good. 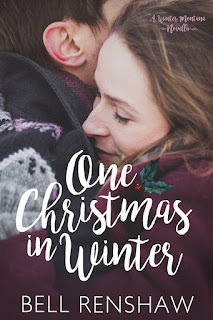 This one is unique to me and have yet to see and Amish author do it the way she as. Lady Evelyn Carlisle has returned home to England, where she is completing her degree at St. Hugh’s, a women’s college in Oxford. Her days are spent poring over ancient texts and rushing to tutorials. All is well until a fateful morning, when her peaceful student life is turned on its head. Stumbling upon the gruesome killing of someone she thought she knew, Evelyn is plunged into a murder investigation once more, much to the chagrin of her friends and family, as well as the intriguing Detective Lucas Stanton. The dreaming spires of Oxford begin to appear decidedly less romantic as she gathers clues, and learns far more than she ever wished to know about the darkness lurking beyond the polished veneer. 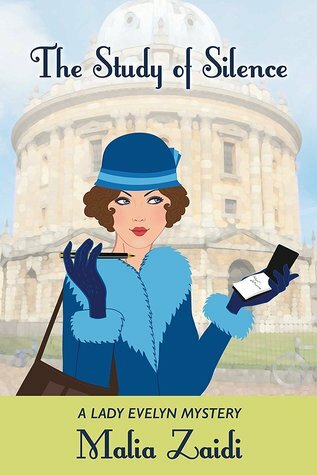 Can she solve the crime before the killer strikes once more, this time to Evelyn’s own detriment? My hair is tangled, a loose knot at the nape of my neck, where my head rests against the cool stone wall. I close my eyes and see it all swimming like a dream beneath my lids. And him, always him. I open my eyes, still here. Still here. The thought echoes in my mind as if I have spoken it aloud, and it is bouncing from the uncaring walls of this chamber. Suddenly, from somewhere above and beyond comes the sound of clanging metal. A door opens and with a screech is shut again. Closed. Secured. Barred. Steps follow. Slow, reluctant steps. One, two, three . . . I want to lose myself in the monotony of the rhythm. I grow used to it, even enjoy it, when the steps suddenly cease once more. Silence. Then nearby, another metallic cry. A key is turned in a rusty lock. A door is opened. A door. My door. Steps again. Two this time. Only a small space to cross. I notice his shoes first. They gleam in the low light. Attached to the shoes, a man in a dour black suit. I look up at his face, but perceive only shadow, dark lines. Squinting, I make no effort to get to my feet. There is no pretending we are equals now. He has no choice, but to crouch to my level. I have brought him down with me. To me. "Do you have anything to say?" His face is close, and I am shocked by his youth. I had expected gray temples and furrowed brows. He is younger than I, not by much perhaps, but nonetheless. His eyes meet mine. Can I speak to him? Should I tell him the truth, my truth? A sudden bang from a place beyond these walls makes him flinch and he tears his gaze from mine, only for a moment, but it is decisive. His voice is quiet, calm . . . kind? "My child, speak." A warbled laugh escapes my dry throat. My child. I am no one's child any longer. The words are ludicrous coming from this man, this frightened boy in an adult's body. He wants to be here nearly as little as I, and fights with himself not to recoil at the sudden sound erupting from my mouth. I frighten him. I, a helpless creature sitting at his feet, frighten him. Another choked laugh. "Shall I get you some water." Water. I shake my head. "Will you not let me hear you?" I am struck by his earnest expression, nothing like the permanent mask of stern reprimand, the looks of disgust I have received these past weeks. Could I tell him? Might he understand? It would not change my fate. But someone else would know the truth. Before I can think of reasons to stay silent, before I can begin to understand the consequences, my words pour out. The last words I will ever speak find compassionate ears. Once spoken, they cannot be unspoken, and when I complete my tale, my truth, I am empty. There is nothing more and I am nothing more. The light is so bad I cannot tell whether he has paled at my confession. Our eyes meet in the gloom, glowing embers. He watches me for another moment, then gets to his feet, brushes his trousers and walks the few steps back to the door. I hear him rap the thick wood twice. Then the lock is turned. He speaks once more, his words run through me like flour through a sieve. Nothing sticks. Nothing stays. I am water and he is oil. The door clatters shut and his steps fade away. When all the noise has gone silent, all that is left is her song. It’s 1912, in a world where slavery is dying and women’s rights are rising, and four young women who once shared a bond—and experienced a tragedy—question their own truths. Pearl had lived under the impossible taskmaster of perfection. Nothing she does or ever did pleased her mother. And nothing she ever did could disappoint her father. 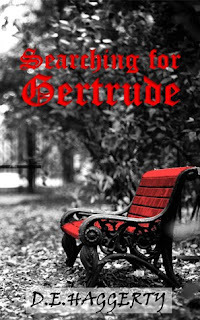 Caught up in the mystery of her friend’s curious—and secretive—return, Pearl wrestles with her own decisions, and flees lest her own secrets are exposed. I’ve always had voices—er, stories in my head. I once said I should write them all down so someone could write them someday. I had no idea at the time that someone was me! I write stories of identity conflict. My characters encounter situations that force the question, “Who am I really?” For all who have ever wondered who you are or why you’re here, my stories will touch you in a very real—maybe too real—and a very deep way. I know, I write from experience. Addie can't remember her birth father, but she'll never forget the lover who took her to bed -- and then disappeared. Now she has to trust Wes with her life. And the life of their unborn baby. 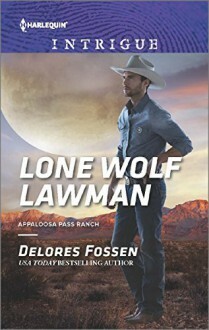 As desire reignites, Addie quickly discovers that with this lawman by her side, she just might escape the target on her back. Looking for an action-packed book. Well, Lone Wolf Lawman is packed to the brim with action. You get quite a few things in this book. There a romance as well. We meet Angie and Wes. When Addie is pulled inside her barn by someone. She starts fighting him as she thinks she is attacked or dragged. But when we find out it Weston. He has come back and he when to warn Angie that the Moonlight Strangler may be after her and want her as his next victim. Who is Moonlight Strangler? Who wants Addie dead. There is the twist and turns throughout this page-turner. Once you get started you are pulled in. Who is after her and Weston? Delores Fossen plot is great, She tells the story like no other romance to a point that it has action throughout the story plot. There a surprise that Addie tells Weston? This brings in the sheriff and Addie family and you will find that there are more surprises and twisted along the way. You will not be disappointed and you will be surprised at how it ends. Description: It's the summer of 1894, and an infidelity case has brought PI Mary Handley to a far corner of Brooklyn: Coney Island. In the midst of her investigation, Mary is contacted by a convicted man's brother to reopen a murder case. A prostitute was killed by a Jack the Ripper copycat years ago in her New York hotel room, but her true killer was never found. Once again it's up to Mary to make right the city's wrongs. New York City's untouchable head of detectives, Thomas Byrnes, swears he put the right man behond bars, but as Mary digs deeper, she finds corruption at the heart of New York's justice system, involving not only the police, but the most powerful of stock titans. Disturbing evidence of other murders begins to surface, each one mimicking Jack the Ripper's style, each one covered up by Thomas Byrnes. Mary is a case when she feels like someone is following her. But she cannot tell who at the moment. Once she sees her friend's husband talking to Colleen. She thinks the worse of her best friend's husband. On her way out, she confronts a man see that is following her. When she does, he wants her to look into his brother case that is that Ben Ali is not a killer. There seems to be some corruption going on in the NYPD in the year of 1894. Who does all the cover-up? Who the Killer of more than a dozen woman. Looks like Mary get pulled into an investigation that has to do with Sage Bombing and as she gets more into the case of Ben Ali she finds more clues and finding the killer. Who is Jack the Ripper, the killer? You will be turning the page to find out. 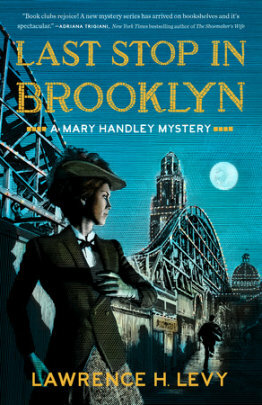 Have you read the book you learn about that time period in NY? We even meet Teddy Roosevelt before he becomes President of United States and the reason why or at least partly. 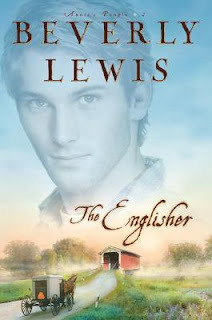 If you are a historical Fiction fan you will enjoy this book. It a Mystery and part historical so you will get both if you are a fan of both or one or the other. Disclaimer: I received this book free for an honesty review. Author Den is were I got the it from. My options is not held to the author or publisher they have no influence on my review so it honest. Description: A horrible accident happens right after the extravagant wedding of Susan and Mike Harwing. The event is the talk of New Orleans. Susan is the only child of millionaires Walter and Marion Gaston. She is their little Belle of the Ball; respectful, popular, and likable. What Susan wants, Susan gets. But, after the accident, Susan decides to go back home and stay in her childhood bedroom upstairs where she played in the attic behind the small door. Her parents never knew she played in the attic. The door was always locked because there is no key. Susan forgets the voice of her childhood playmate. But, Piddle Paddle Waddle, a child size mannequin, remembers Susan very well. Walter and Marion thought they knew everything about their beloved daughter, but they don’t. Oh, the burdens of an ungrateful child. 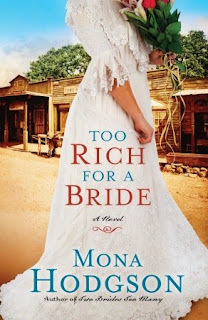 This story takes place shortly after a woman wants to be a bride and have her dream wedding. There a mystery that unfolds as soon as the bride and groom are to leave the church. Why and how does Mike Harwing die and why? There seems to be a someone that knows and Susan also knows but why? The parent of Susan want to help their daughter but do not know how. We are pulled in and wondering what happen. Why is Susan acting the way she is. Susan hears a Voice named Piddle Paddle Waddle. No one can hear this person other than Susan. She comes into Susan room. Though her parents cannot see or hear this voice from the small Attic Door. You will be surprised and the twist and turns this book takes you on. Does Susan have a personality disorder or not? Her parents do find some really strange emails but do not know what to do about them. They seem to find out how evil their daughter is but they love her a lot to want to get her help. Mary Lynn Plaisance doe bring the story line together and leave you wondering what Piddle Paddle Waddle will do? Will Susan learn her lesson or will she not? You will see find out by reading the book. February came and went as well. Where do these month go. I know February is a short month out of all the years it just that it would move a bit slow but not by much as January. This past month was a cold one to say the least. We had Ice and cold weather with some sun days. It was a month of Wet and strange weather from mother nature. I would like to say Spring is on it way now but who i am kidding. I seem to have brought my reading up since January. I seem of gotten 7 books read this past month. Which is 3 books above last month. Here the list. So Far as of 2018 the Total Pages Read are 2,494 Pages. Not including that last book Lone Wolf Lawman. That book pages will be added in March Wrap Up. Below is the Total amount of Pages Per Month. So Far as of 2018 the Total Books Read are 11 Books. Not including that last book Lone Wolf Lawman. That book will be added in March Wrap Up. Below is the Total amount of Books Per Month. What was written and posted in January. Some of the books were read in 2017 and that is way you are see them posted in February of 2018 as for I choose those dates for the tours. You will that I have Reviews that will be posted this year that go to book that were read before 2018. Though I am trying to keep up with current reviews with book read this year there are some from back log. I just did not get to write the review. They will be marked. Where did that first mnth go? I know we had some really cold days. I gotten sick for 3 weeks of the month. That what happened to me for January. I was layed up with coughing and just reading though not much reading from what I got done this month. I only got 4 book read in January. What was written and posted in January. Some of the books were read in 2017 and that is way you are see them posted in Jauary of 2018 as for I choose those dates for the tours. You will that I have Reviews that will be posted this year that go to book that were read before 2018. Though I am trying to keep up with current reviews with book read this year there are some from back log. I just did not get to write the review. They wre will be marked. Disclaimer: I received this book free from the author and publisher for an honest review. (There is an affiliate link if you click on it and buy the book I will get a little commission) There is no pressure to buy unless you want to. A fire blazes out of control in the San Luis Valley of Colorado, leaving an elderly Amish bachelor dead. Bishop Henry Lapp rushes to the scene, and he learns the fire was no accident. Someone intended to kill Vernon Frey. But who would want to kill Vernon? Well, practically everyone—Amish and Englisch alike. When the police point the finger at a suspect Henry knows is innocent, the bishop must decide whether or not to use his mysterious, God-given gift—one he's tried desperately to ignore all these years—to try and set the record straight. His close friend and neighbor, Emma, encourages Henry to follow God's leading. Could the clue to solving the case be locked somewhere deep in his memory? Will Henry find the courage to move forward in faith and put the right person behind bars? Is his friendship with Emma becoming something more? What the Bishop Saw is a story of extraordinary talents, the bonds of love and friendship, and the unfailing grace of God. What the Bishops Saw is a really good mystery in itself. You are guessing from the time you open the book and the last page you turn. Who killed Veron Fry? Did someone murder Veron Fry on purpose? Is it Amish and English. I am still surprised with the ending. The Englisher needs help as she does not get to bottom of the case or any closes. 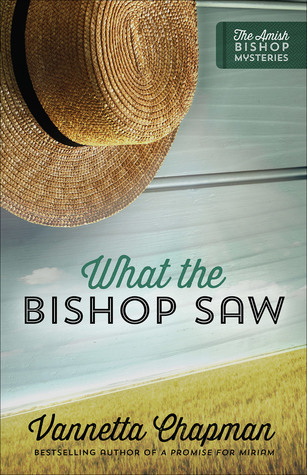 Will the bishop help save an innocent man and catch the culprit? What is Henry talent and is it good or is bad. To find out this you need to read the book. I am still wondering why this person did what he or she did towards the Amish when they did not do anything to have it happen. Vanetta Chapman gets you hooked and wanting more. You will not want to put this book down once you start to read it. It pages turner for you. Will Henry take a leap a faith and use these talents. Find out by reading What the Bishop Saw. It a compelling story and one I hope to follow more of Henry and this community in Colorado Valley. 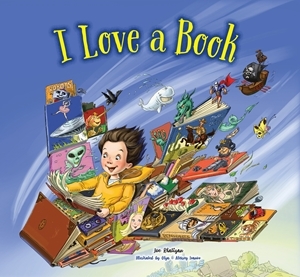 Description: At once inspirational, silly, and fun, I Love a Book is a lavishly illustrated picture book that celebrates reading and children’s marvelous capacity for enjoyment and imagination. Calling all kids who love nothing better than getting lost in a great book! This is our celebration of books, reading, and our imaginations. In I Love a Book , you'll get to see all different types of books and see where to find them from the simple, lyrical prose. As you keep reading, the words becomes more frantic as a young reader encounters pirates sailing the sea, a classroom of monsters "learning math with their paws," and even an animal doctor making house calls in a helicopter! With lavish illustrations nearly spilling off the page, the young reader finally reaches the end of an exhausting day, ready for bed... and more books. I Love a Book is for anyone who loves spending time with their books and wants to instill this passion in the next generation. I Love a Book is done well. I love the pictures and it keeps me fantastic. Young Children would love looking at the pictures for hours. It would keep them to turning the page. The story is sweet as well. I believe it rhymes and make it more of a poem for parts of it. The author does a wonderfully with it. It also might about the author when he was a young boy. You have young children that love books will this book talk about books throughout. 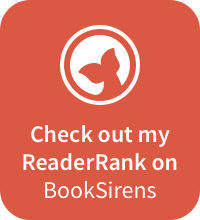 It great for readers and parents but also for children that want learn about books a bit as well.